I’m optimistic about the future of Pompe disease, or better yet, a future without the devastating symptoms of Pompe disease. Today is International Pompe Day, a global awareness day shining a spotlight on a rare genetic disease that affects roughly one in 40,000 people in the U.S. 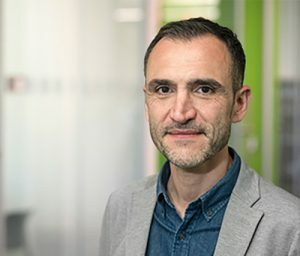 The International Pompe Association, which sponsors today’s activities globally, has issued a call-to-action to inspire others by how the community is “Moving On with Pompe.” I, for one, hope to inspire the Pompe community and other researchers to “move on” to a bright future for Pompe disease patients through research. Before we talk about the future, we have to look at the current state of Pompe disease. Pompe disease has been an area of interest for me for several years, starting with my work in Paris in one of Europe’s reference research centers for neuromuscular diseases. Understanding the disease biology and the challenges in the diagnosis and management of Pompe disease has made it both interesting and complex for researchers working to discover and develop investigational treatment options. Pompe disease results from a genetic mutation in the GAA gene and is characterized by the inability of cells to eliminate glycogen, causing its excessive buildup. If not eliminated, glycogen accumulation will cause the cells to die, eventually causing irreversible tissue damage particularly in the muscles, heart and even in the brain. Over time, the disease worsens, leading to muscle weakness, trouble breathing and a host of other symptoms. Pompe disease is very diverse in its manifestations. For about 25 percent of patients, symptoms begin at birth and progress rapidly. Most of these infantile patients will experience cardiomyopathy, making it difficult for their heart to pump blood to the rest of their body. In the absence of any treatment, death often occurs before age two. For the other 75 percent of Pompe patients, symptoms are less immediately life-threatening and appear between adolescence and adulthood. While the disease progresses slower in these late-onset Pompe patients, it can significantly impact the quality and duration of life. Today, enzyme replacement therapy is the standard of care for many patients with Pompe disease. Despite the variability in symptoms and disease manifestations, what all Pompe patients have in common is a defective acid alpha-glucosidase (GAA) gene causing the disease. Being a single gene, or monogenic, disorder, with well understood biochemistry and natural history, Pompe disease is a potential target for the development of gene-based therapies. 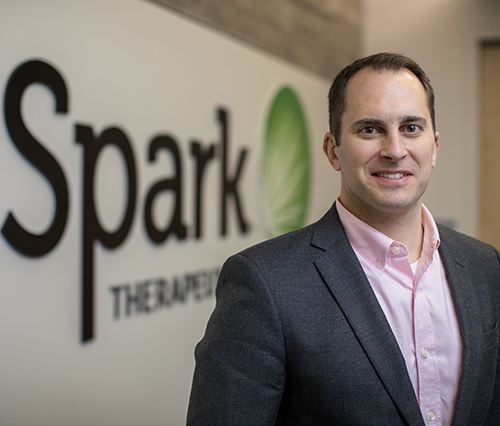 As such, it is already in the research pipeline of several companies and academic institutions today, including part of my work at Spark Therapeutics. Investigational gene therapies have the potential to provide a long-term, steady supply of GAA enzyme to the entire body through one-time administration, thereby correcting glycogen accumulation and the resulting damage at the cell level. The two main approaches being studied right now include ex-vivo gene therapy, when gene modification of cells is performed outside of the body, or in-vivo gene therapy, when gene modification is performed inside the body. Researchers are studying different vectors, or “delivery vehicles,” that could be used to deliver the desired gene to the cell: the most common vectors being studied are lentiviral vectors and adeno-associated virus (AAV) vectors. Additionally, different cells within the body are being targeted for delivery of the gene. Ex-vivo gene therapy targets bone marrow stem cells modified with lentivirus vectors that may provide a potential approach to correct the enzyme deficiency in the central nervous system. Several preclinical studies and clinical trials with AAV vectors investigate the delivery of the GAA transgene directly to the muscle, one of the tissues mostly affected by the enzyme deficiency. Gene transfer directed to cells in the liver also represents a potential strategy to develop gene therapies for Pompe disease, based on our expanding body of knowledge that liver expression of GAA may reduce or eliminate the potential for immune responses. There is also evidence in animal models of Pompe disease that the GAA enzyme produced in the liver can be delivered to the entire body through the bloodstream. On this International Pompe Day, we should not forget the critical role the patient advocacy community has played in supporting research from the earliest of days. With the continued collaboration and involvement of patient advocacy groups and researchers, these new potential therapies are being developed with the unmet needs of Pompe patients in mind. Future clinical trials will help answer many important questions, including the safety profile and efficacy profile of investigational gene therapy and whether immune tolerance induction can be beneficial to patients. Ultimately, “moving on” to a future without the devastating symptoms of Pompe disease is the goal that unifies all our efforts and inspires all of us on a day like today and every day. For many of us, the term “modern medicine” is synonymous with breakthrough treatments for cancer, HIV/AIDS and other chronic diseases. 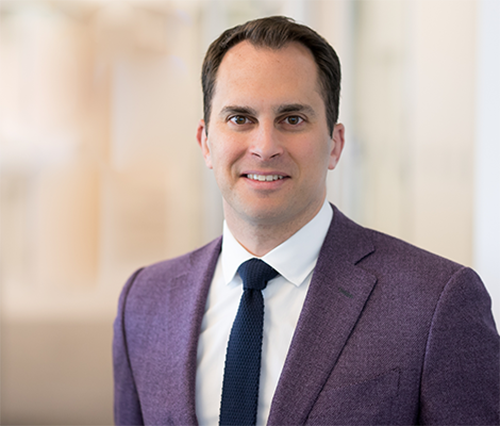 Jeffrey D. Marrazzo discusses the importance of being both an innovator and advocate for change within the lives of patients and the healthcare industry.